September is my favorite month to travel...especially to Europe! The kids have gone back to school, the swarms of tourists have disappeared, hotel rates have gone down, but there are still sunny days to soak up and warm waters to swim in. A JetSetSmart traveler knows that this is the time of the year to find some great deals and start jet setting to Europe. A great country to jet set to this time of year is Portugal. 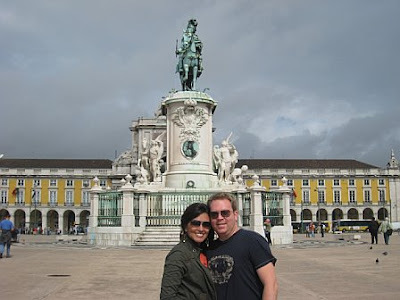 It's funny, Portugal is the closest European country to The U.S., but many people haven't traveled there. Portugal borders Spain on the left, and maybe because it's a small country it's forgotten about, but I'm telling you...add it to your destination list and you'll be glad you did! Portugal is on the Euro, but for the most part things are still less expensive there, so it is cheaper to go there than Spain at the moment. Lisbon is the capital and it's similar to other big European cities like Paris and Rome in the layout and architecture, but it also has a different vibe and it's own unique charm. About an hour away by train is a small fishing village known as Cascais where we stayed. It's right on the Atlantic Ocean and there are beaches right in the center of town. When you are in Cascais, you feel like everyone knows each other from the shop owners to the cab drivers. The streets are cobble stoned, small and winding...and down each street is a unique shop or restaurant waiting to be discovered. Next to Cascais is another town called Estoril. Estoril is much more developed and touristy, which is why I would recommend staying in Cascais and visiting Estoril during the day. 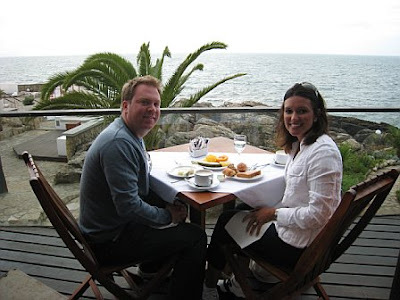 We stayed at the Farol Design Hotel in Cascais. 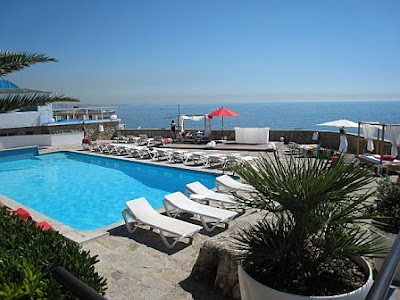 It's a boutique hotel set on the cliffs of the Atlantic, with views of ocean as far as the eye can see! Breakfast at the hotel is included in the cost, and the location is just blocks from the main square...so you can be in town in minutes, but feel like you've escaped when you go back to your hotel at night. 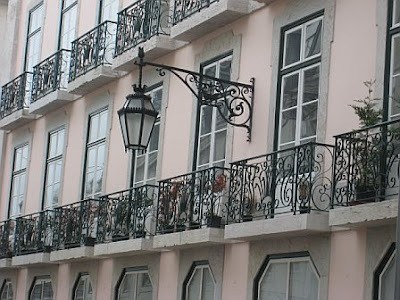 I will have much more on Cascais and Portugal on my website http://www.jetsetsmart.com/ in the near future- so make sure to keep an eye out for that. HAVE YOU BEEN TO TORONTO, "EH"? FASHION FRIDAY: A FASHIONABLE WAY TO HAIL A CAB! JET SETTING AS A BLONDE!